Your desk has a lot of say in how productive you are at work — choose wisely! If you’re like the majority of working America, you spend a hefty part of your week sitting behind your desk. If you’re lucky enough to have a say in choosing your office furniture, then you have an opportunity to significantly boost your productivity and comfort. Choosing the best office desk for you means taking into account personal needs, tendencies, and preferences. Here are some things to think about when picking a desk for your office. 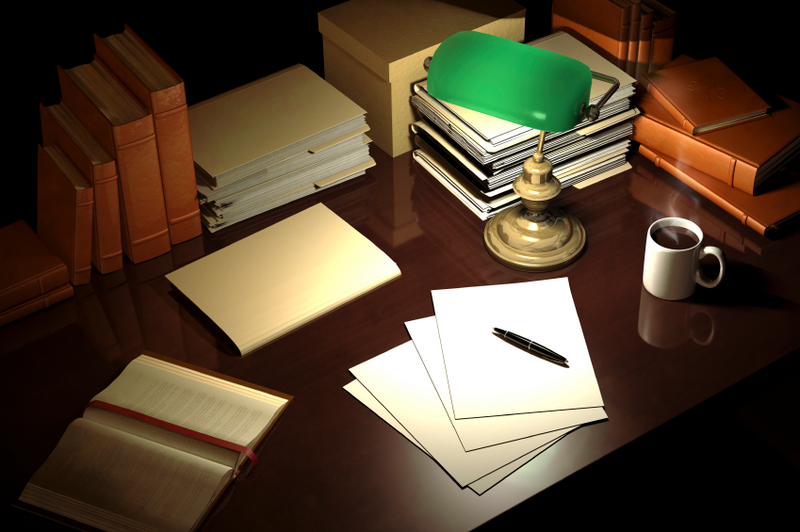 If you run through a lot of paperwork, finding a desk with lots of surface area will be helpful in allowing you to spread paperwork out as much as you need. It’s also a good idea to look for overhead or underneath storage to keep important papers and such. For those who work both on the computer and on paper and switch frequently throughout the day, an L-shaped desk can give you space for both parts. If you can afford to spring for a larger U-shape, well, the more surface area the merrier! Now’s where you get to take your personal design choices, work habits, and comfort into account to choose the best office desk for you. There are plenty of material choices, from elegant wood to durable metal. Perhaps your work style is the mess-creative-genius style and you need more surface area than someone who’s more compulsively organized. Also be sure to take ergonomics into account, as well as the size and shape of the space you’re furnishing. And there’s always the standing desk option, too. Ultimately, taking all of these factors into account should help you at least narrow down your choices, if not lead you to arrive at a decision. If you still need help determining pros and cons for various choices, don’t hesitate to give us a call for our professional advice. This entry was posted on Thursday, March 17th, 2016 at 3:20 pm. Both comments and pings are currently closed.